To my absolute delight, I stumbled upon the Soul Dancing studio and its manager/instructor June Weng. I was looking for a salsa class, and the only thing happening last night was her beginning class, which turned out to be quite fortuitous. She is a great instructor, and got everybody going with several steps to work on, after a rigorous warm-up routine. 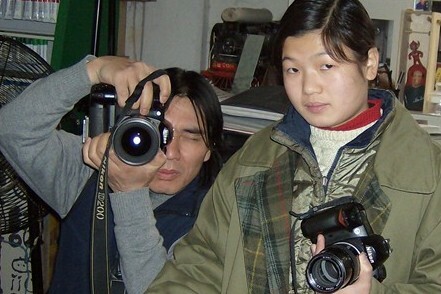 In the photo, June, the patient, and Jing. Hearing Coco Zhao, Peng Fei, EJ Parker, Chris Trzinski, and Huang Jian Yi at their home base at JZ Club is an epicureal musical evening. The ensemble creates new textures and sonorities, certainly from having performed so much together. My favorite last night was piece by Huang featured a melody doubled by Coco with arco bass. A beautiful, sensual piece. To my surprise, I caught the entire evening from 10 p.m. to 2 a.m. The two hour massage prior to the show made the difference. 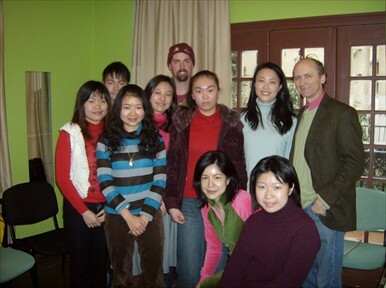 This is the gang at yesterdays class at JZ School. We could not have had more fun, as it was a happy and eager crowd on a snowing and blowing Sunday afternoon. We covered some simple improvisation, a bit of Rock & Roll piano and concluded with an impromptu performance of Scott Joplin’s “Entertainer” by Priscilla. We should do this every Sunday! 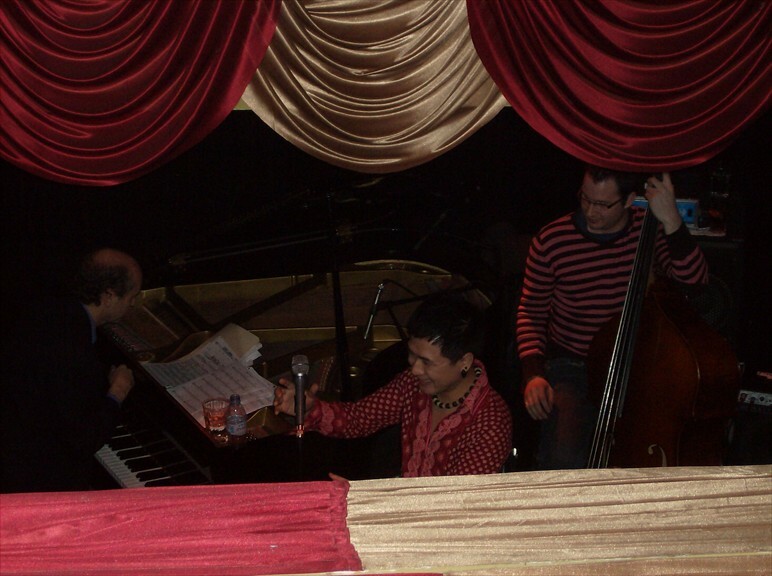 Burnett, Xiaohui, Zekro revving up prior to curtain. Our second concert at Shanghai Oriental Arts Center, Jan 26 at 2 p.m. On stage were Persian percussionist Zekrollah Aflatuni, clarinetist Kiera Thompson, dizi virtuoso Zhang Zemin, Shanghai percussionist Liu, Ma Xiaohui and myself. This was one long concert. The first half was 90 minutes, and I was onstage for the whole period. We did most of the heavyweight Chinese works and ended with Libertango by Astor Piazzolla, which is finally starting to gel with erhu, clarinet and piano. 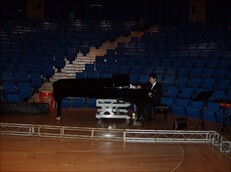 The rehearsal/concert combination was a total of about 8 hours. Therefore it is easy to let your attention waver when it counts. The 3 hour concert ended with a marvelous feast with excellent fish at the 5 star Renaissance in Pudong. I could have eaten the whole thing, which would have triggered an international crisis, so I picked at it like everybody else. Jan. 24 brought with it the distinct honor of meeting Jiang Dong and Xu Jue, who serve in production for Shanghai Media Group, the Shanghai media giant based here. 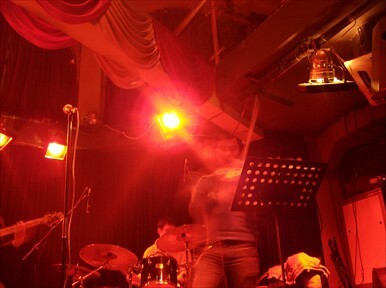 SMG shot numerous acts at the JZ Club, including myself, and Xu Jue did the interview. 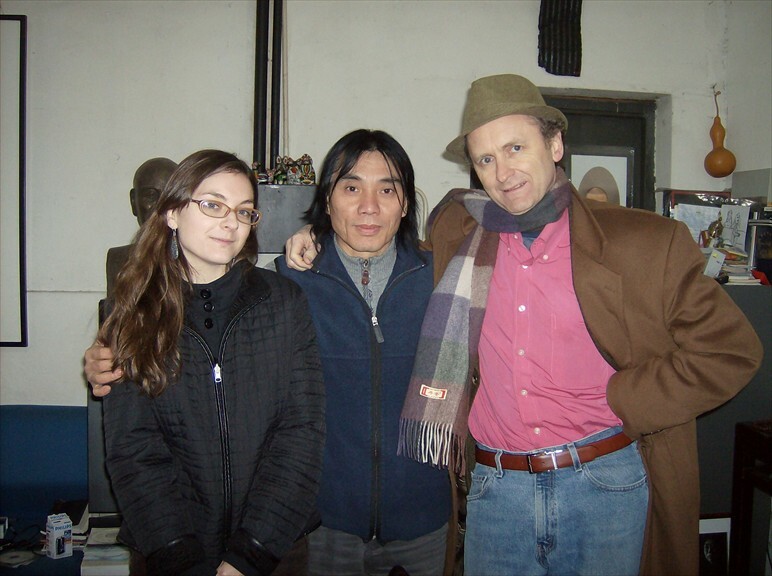 Xu Jue is devoting her time to researching the history of jazz and was a delightful host for the shoot. We were delayed a couple hours, so we had 2 hours to talk about myriad musical and social subjects. When it came down to the interview, we actually had some trouble narrowing things down because of the wide scope of our conversation. Regrettably, I did not get a good photo of the occasion. I played Ellington, Berlin and a couple of my tunes. Today’s Shanghai Daily, (the English language ‘official’ paper here) contains a poignant and personal op-ed piece that gives a peek at the disparaties between urban and rural China. See the link. A night to remember. It is fair to say that the acme of an acute attack of food poisoning took place 10 minutes before climbing onstage at the JZ Club last night. Fortunately I was assisted by a brilliant rhythm section comprised of drummer Chris Trzinski and bassist EJ Parker, and the evening went quite swimmingly. EJ and Chris graciously accommodated my inclination for standards on this particular occasion. What made the evening truly special was a visit by vocalist Coco Zhao. We did several of his tunes, and he really made the evening for me. My second observation was that the 1:00 a.m. set was well populated, and the audience was very attentive and appreciative. What a wonderful place to perform. 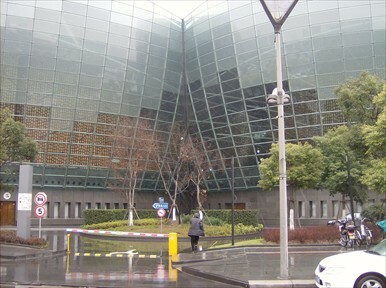 The concert on Sunday, Jan 20 at the new Shanghai Oriental Arts Center was splendid. 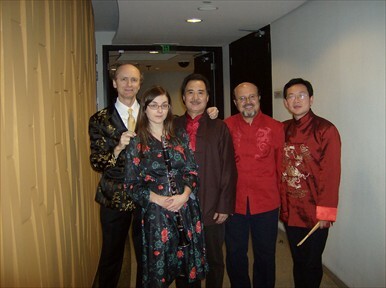 The performers included tradional drums (dagou), flute (dizi ) guzheng, clarinet, piano and erhu. I’ll get better pics when we repeat on Jan 26 and are joined by the great dizi player, Chaiman Cheng. Clarinetist Kiera Thompson performed on the tangos, the Middle Eastern melody, and a Bach piece, all arranged for erhu, clarinet and piano. 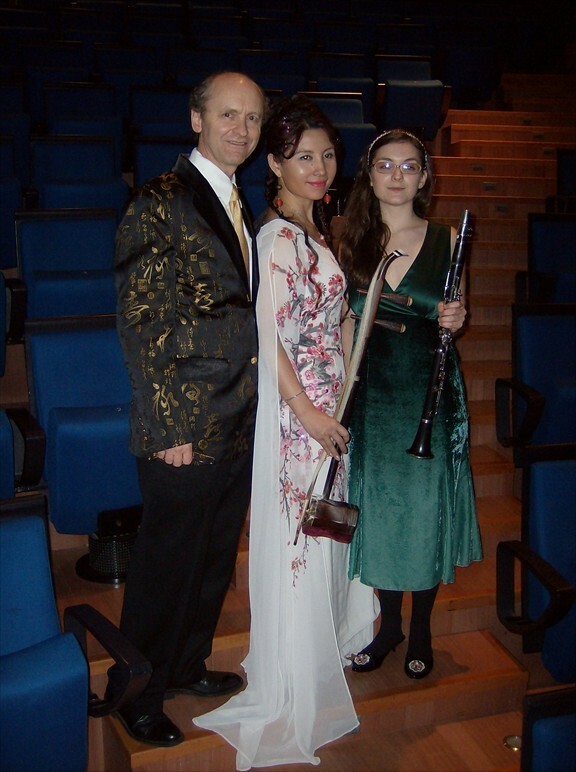 The concert was arranged by the local community, and the house was full. The piano is a Hamburg Steinway D, truly a beautiful instrument. The Program. 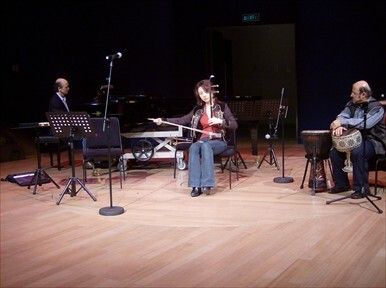 This concert was a typical presentation by Ma Xiaohui in her efforts to bring the erhu into the international world of high art. She likes to point out that the erhu is widely viewed as a street instrument, and of course she has brought this instrument to the concert stage worldwide. Quite remarkable, really, and this concert gave the usual offering of traditional Chinese melodies and formal concert pieces, adjacent to Bach, Shostakovich, Duke Ellington, and a couple of Tangos by Carlos Gardel and Astor Piazzola.